Growing up, I was fascinated with colorful stained glass. I learned from the facets’ placements how to turn abstract shapes into a realistic whole. One critic said of my work: “Your style is wonderful. 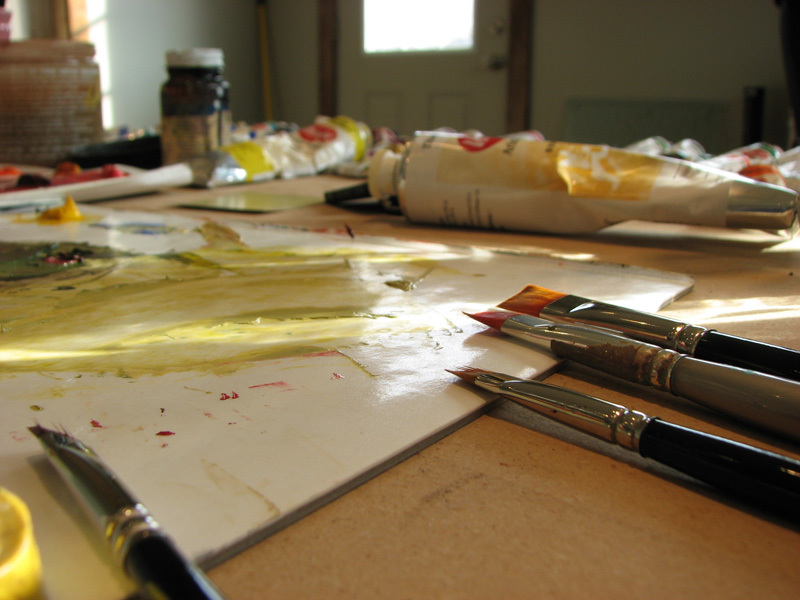 Your personal version of abstraction is so beautifully rooted in reality.” I paint either alla prima (all at once, wet oil paint on wet oil paint) or I build up transparent acrylic layers finished with oil paints. My dog paintings are a consistent favorite with collectors. I had a yellow lab named Buttercup who passed away in 2016. She epitomized loyalty and friendship. I started painting her as a pup and these pieces inspired a whole new dimension of my career. Dogs are furry angels of comfort and joy. I inherited my love of flowers from my parents. I turn fragile blooms into boldly feminine art. I’ve heard this again and again at shows from people looking at my compositions and brushwork: there they feel a strength and determination. My ancestry comes from the Adriatic Sea. I have a spiritual connection with the beach, and I brush this into my seascapes. Stormy waters become still, tides repeatedly wash in and out, and the vastness does not diminish the importance of one viewer on the shore. 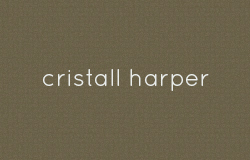 Cristall Harper graduated in 2002 from Brigham Young University with a BFA in Painting. Her studio is in American Fork, Utah where she lives with her husband. She is represented by Astoria Fine Art in Jackson, WY, Gallery MAR in Park City, UT and Foursquare ART in Phoenix, AZ. Her work is collected and enjoyed nationally.